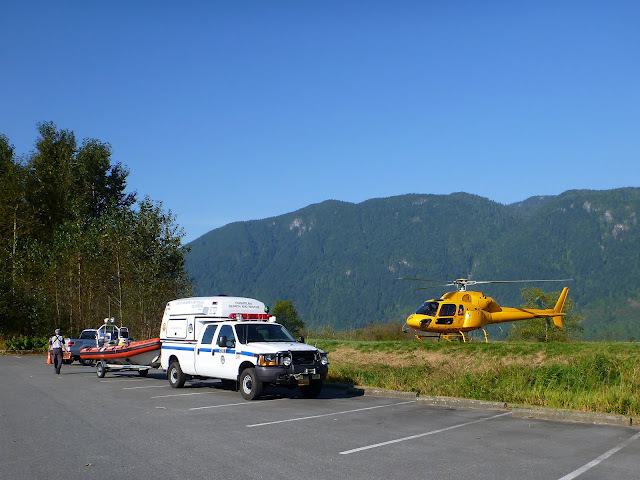 Pitt Lake, one of the worlds largest tidal lakes, forms part of the eastern boundary of Coquitlam SAR’s search area. 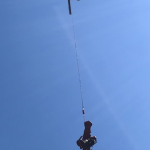 Responses to the 25 kilometre long lake are shared between us and Ridge Meadows Search and Rescue with the bulk of marine responses being handled by Ridge. A high degree of cooperation between the two teams is normal. 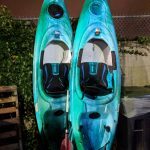 The lake is an extremely popular boating destination, and is surrounded by provincial parks; Pinecone Burke on the west, Golden Ears on the east, and Garibaldi Park to the north and Minnekehada Regional Park and Pitt Polder Ecological Reserve near the souther end. There is active logging in the Pitt River Valley, a lodge, and a hot springs. Pitt River runs south to join the Fraser River. Trails in the Pitt Lake area are all wilderness, unofficial routes or rarely used flagged routes. 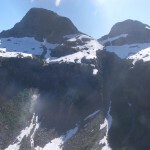 Backcountry travel is difficult and consists mostly of experienced mountaineers. Most access to the lake is by boat, water taxi or by air. Trails in the adjacent parks do not access the lake directly. The lake has a very remote, wilderness character. Most calls to the lake are marine in nature, and by agreement, Ridge Meadows Search and Rescue handles most of these because of better access to the Grant Narrows boat launch. Missing or lost people at the north end of Pitt Lake, in the Pitt River and near the hot springs are not common, but can be very serious. The area is difficult to access, responses can be slow, and are hampered by communications issues. Cellular service is non-existent. The tidal nature of the lake makes it the site of many marine accidents as there is a significant sand bar at the southern end. Winds on the lake from the surrounding mountains and glaciers can be extreme. 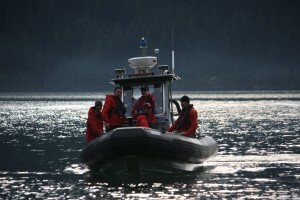 Boaters regularly encounter difficulties and require rescue or assistance. A notable search in this area was for three subjects with a personal locator beacon who were stranded by bad weather and high water. 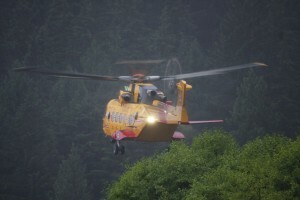 The rescue involved over 12 hours of effort at accessing the location, use of RCAF 442 Transport and Rescue Squadron to access the area, and a long line rescue. Two other major rescues in this area involved more than 24 hours of searching over two days. Backcountry travellers in this area must be prepared for remote travel with no contact with civilization. 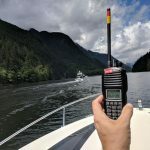 No cell contact means people will be unable to call for assistance unless they have a satellite phone, or a personal locator beacon (PLB) or a satellite emergency notification device (SEND). 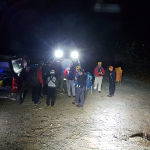 Responses will usually be because of a friend or relative reporting the person missing, and it can take a long time to get a SAR team mobilized. Bad weather can mean a long wait for help.